Wellington (Māori: Te Whanganui-a-Tara [tɛ ˈfaŋanʉi a taɾa]) is the capital city, and second most populous urban area of New Zealand. It is also the world’s windiest city, with an average wind speed of over 26 km/h (16 mph). 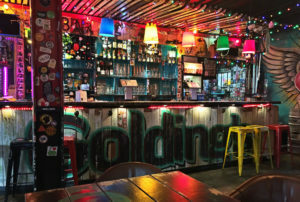 Often referred to as the Craft Beer Capital of New Zealand, Wellington has more than 20 x specialty craft beer bars and breweries tightly packed within the central business district. The city is also home to a number of dedicated craft beer festivals including Beervana and the Winter Ales Festival.